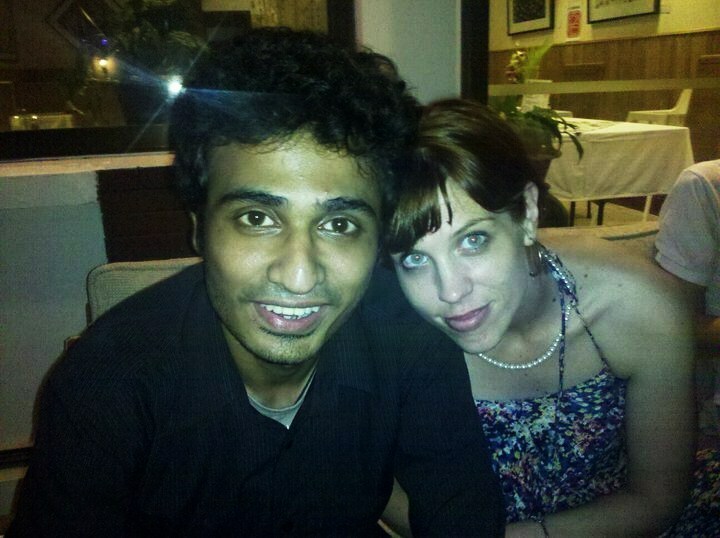 So much has happened since I first wrote about having a crush on my Bangladeshi translator, Sherpa. Most notably, we got married. Nowadays, to think of describing the love of my life as a “crush” feels about as silly as the Facebook message I sent over a year ago declaring my super-sized interest in him. Though you may (reasonably) cringe at my sappiness, I can’t proceed without first declaring that there’s enough electricity between Sherpa and I to light up Dhaka. Day and night, all year round. I feel really lucky. Now let’s turn to the main event: our wedding. Despite the fact that there were traditions from two cultures to tap into for wedding ideas, ours didn’t resemble anything either of us knew about them (which admittedly wasn’t a great deal). In fact, our transformation from employer-employee to husband and wife was unconventional from the moment I proposed to Sherpa and, after he finished laughing (it must have been the shock? ), slipped the silver ring over the only finger it fit: his thumb. We hugged and shivered next to a deserted, moonlit lake. We’d been dating just four months. A couple of weeks later, Sherpa snuck out and bought me a ring, then “re-proposed” in that same special place. Our parents weren’t to learn of our engagement until much, much later. Sadly, Sherpa wasn’t able to be with me when I made the announcement in Melbourne. This was tough, because my parents had never met him; we lost that opportunity when Sherpa’s applications for an Australian tourist visa were denied. Ironically, the immigration officials – who I’d put money on as being the toughest in the world – didn’t believe our relationship was genuine. When I returned from Melbourne, our little flat was adorned with drawings (depicting our reunion at the airport), streamers, and colourful cut-out letters on the doors, saying sweet things, like “Welcome Home, Princess.” I was so happy I cried. Sherpa’s mother was remarkably calm when we told her we were getting married – in two days’ time. She has accepted me as part of the family, each of whom are incredibly independent and kind. Sadly, I’ve not met his father, a professor of Islamic Studies in Chittagong, because he passed away while Sherpa was still in high school. It was he who gave Sherpa his unusual name. As it turned out, Sherpa and I didn’t get married two days later; nor the next week, or the one after that. This was due to a case of jitters – not our own, but a qazi’s. Although the qazi initially agreed to marry us, at the last minute he had second thoughts and gave us an ultimatum: either I convert to Islam or he’d have no part of it. This put us in a pickle, as I had no religion to convert from. But fortunately for us, a friend in-the-know persisted with his inquiries and found us a lawyer in Motijheel and we hastily scheduled a date. But even though it took us very little time to get ready for the big day – I wore my favourite Bangkok jumpsuit, a simple one-piece attire – somehow we managed to arrive half an hour late, and found the lawyer bristling with impatience. Refusing to delay things any further, we signed the marriage certificate before our close friend and witness Shahnaz had the chance to return from where she’d been waiting for us. Afterwards, I pulled my camera out of my bag to take the pictures that would be treasured forever, only to discover my lens had smashed en route. “Who cares,” we cried, “We’re married!” and off we went to join our close friends at the Nordic Club, who had a bottle of champagne at the ready. The cork was signed by everyone and kept as a memento – a French tradition, said our friend Cat. Sherpa and I ended the public celebrations by eating posh cakes in egg-shaped chairs at The Westin. Yes, we’ve faced many struggles, as these few short paragraphs reveal. But we get through everything as a team, and have emerged stronger, closer and more determined to build our life together. Our first apartment, for example, had no natural light and a correspondingly high mosquito population. Construction work continued almost unabated, day and night, and it took just six steps to reach the front door from our bedroom. But we bought an aquarium and six fish, and decorated our home with a lot of enthusiasm. Even though there were times when we didn’t have quite enough to eat, it was a happy place, and we recall those days fondly. Soon after we moved to a much larger, brighter place; now we not only have a view, but a rare one for Dhaka: our house overlooks beautiful trees – and the flowers are just about to bloom. There was one wedding tradition we didn’t want to forsake: a honeymoon. It’s taken us a few months to get there, but by the time you read this, we’ll be hand-in-hand in Kolkata. Have you also married a Bangladeshi? If so, The Cross Cultural Club could be for you. It’s an association of spouses who have married Bangladeshis or people of Bangladeshi origin and are now residing with their families in Bangladesh. It was established in 1990 and strives to assist newly arrived men and women who are struggling to make a new life here with their families. We endeavor to provide guidance, assistance and camaraderie. We have regular, wonderful lunches and I’ve met some fantastically interesting women as a result. Please click here to to visit the The Cross Culture Club’s official website. I’ve also created a Facebook group called I married a Bangladeshi guy, which I hope will be useful for wives meeting other wives (or wives to be!). Interesting to know about your love and marriage life..i have fallen into the same pit of love with a bangladeshi. I cant imagine how long more do we have to wait for the D day. Share your story also please! where are you from btw? I have a foreigner lover.i know her for 6 months and our relationship is continuing for 3 months.i would like to marry her.so i need your help to get her easily.so if you are interested you can help me. That’s a hard one for me to help with – but good luck! can you advise if you have any reliable lawyer i can contact as im a sri lankan working in jordan and my girl friend is a banagali girl which im hoping to marry in bangaladesh. Hi, I am Sarowar want to do contact marriage. I am service holder and want to pass next days with good minded girl. My number.01626278574. currently I am Living in Dhaka Gulshan area. I want to marry a usa or canadian lady.I am from Bangladesh.Will you help me. Sorry, no – good luck though! This is so wonderful to read. Although my spouse and I are in Canada, he is Bangladeshi and I really love the culture. It’s nice to see that accounts of other wonderful people that aren’t afraid to push the social norms and be with someone they love, without barriers. Thank you for being an inspiration! He sure is. He came here to finish school. We are not married yet but feel that we will take that step eventually. A part of me is worried about how his family will feel about it all, but he’s reassured me that his choice is his and he’s solid in that conviction. It’s been nearly two years, and on Sunday, I will be heading to Dhaka with my fiancé to get married surrounded by his family & friends!!! I can’t believe that it’s already happening, and you sometimes cross my mind when I think about the unique adventure I am about to go on. I can’t wait to feel, see, and taste Dhaka and marry my love! Purnima Rani Das,Father’s name- Asit Boron Das,Mother’s name- Madhobi Rani Das, some days ago she was my wife,but yesterday she married another person for going to America.Her new husband,Mr. prosenjit which is citizen of American.But is it right only for going to America,can she breakup with me?Please any friend help me to stop them for taking citizenship.Please any friend send the news to American embassy to stop them.At Narayanganj,Bangladesh.please help me. Hi,i am Bangladeshi.My Birth day 21-11-1986.I am interested to marry Foreigner Girl.if any body interested me log on face book my id Ali Reza. I hope are you OK.you lick Bangladeshi guy ? And you want to married Bangladeshi guy ? The Koran states that a Muslim man can marry any “woman of the book”, meaning a Muslim, Christian or Jew, unfortunately some religious leaders don’t actually follow “The Book”. Although i guess if you weren’t even a nominal Christian i can see his point, but for those “Christian” women looking to marry Muslim men i shouldn’t be a problem. The Muslim woman unfortunately is not afforded the same freedom of marry a non-muslim man no matter what though. hei jessi i habe also some italian sweeter,,, wish me if we could come your position? We note that when MEN marry women from the Third World, immediately there arises a barrage of claims such as “You couldn’t get laid here”, “she just wants the visa”, “she’s only a gold-digger”, etc etc etc. I don’t know your particular situation and I am not judging it. Today some people of 3rd world country playing marriage game for visa no doubt, why male/female of advanced country giving opportunity to them ? or now some of the 3rd work country has become investment destination for advance country, therefore, visa of those country becoming the lucrative for the people of some advanced country. I married bangladeshi too. and now we have 1 boy! 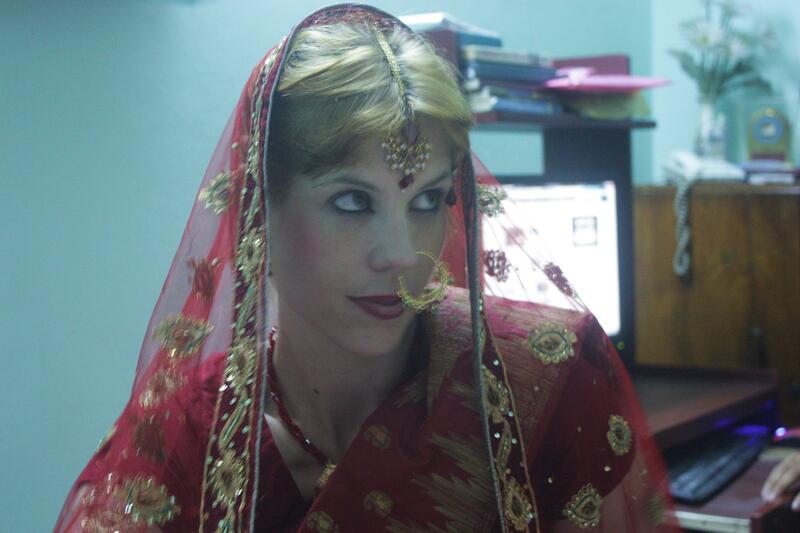 i want to marry American girl, I am Bangladeshi. i have already completed Bachelor degree. so please help..
Wow! Amazing! All the best! Unlike UK & other European/American family your family will not be for too short period, rather it will ling lasting like Bangladeshi family. Zak, you have no idea what you are talking about. Sorry. Congratulations on your marriage.. It’s awesome that you two could find love putting aside the whole culture, religion barrier thing! I’m so happy for you both..
And now, why I’m actually posting this comment.. This feels a bit wierd and awkward to say the least but I’m at my wits end.. I was online for so long trying to find somethin of use, ad I came across your post.. I’m not a Bangladeshi, but I’ve lived here for 4 years temporarily, completing my studies.. I’ve been dating this Bangladeshi guy for about a year now.. We’re both very much in love and want to get married but we don’t really know the procedure.. Our parents aren’t aware of any of this, and won’t be thrilled at the idea and so we can’t really go asking people for help. Are there specific laws prohibiting non Bangladeshi,non muslims marrying Muslim Bangladeshis? Well, that’s just the tip of the ice berg actually and I have soo many questions that I need help with and I was wondering since you seem to have jumped the hurdles(so to speak) you can help me out? I’d be ever so grateful.. And well, this is the first time I’ve ever done this sort of thing(posted on a blog for help I mean) and so I apologize for any inappropriateness.. I hope you don’t mind my being so direct with all this, I apologize for being a bother.. It’s totally fine if you delete this or whatever if you find it inappropriate..
and have a GREAT life ahead! Jess, what an uplifting read! So happy for you two, sounds like Sherpa is truly the one for you and your challenges are only serving to reinforce that! Hope you had a great time in Kolkata, was tickled pink to hear from you and reminisce on those many moons ago! Wow – you got married? – AMAZING!!! congratulations :))) A gorgeous man and a brilliant career – I bet you’re really glad you didn’t stay in England! Congrats from Australia. How lucky you are to have met each other and share the beautiful, unorthodox and totally fabulous love you have for each other. I aspire to have your love for life! Best of luck for the future- not that you’ll need it. Anna and her husband Simon came to visit us a few weeks ago – we had a ball and i was so happy for Sherpa to meet them and vice versa. Anna says he’s a good house husband, so two thumbs up to that!! Hope your farm is going great guns. Congratulations (on your marriage)! I enjoyed reading this piece very much as I, a Bangladeshi, have been married to an amazing Swedish lady for just over two years. It was interesting to get a glimpse of things from the other side. The registration bit was a bit unorthodox to say the least, wasn’t it? We went down the same route as well since my wife isn’t a Muslim (I pass for one only by virtue of my birth, but little else). Here’s hoping it takes off and more non-Muslims come out of the woods and put it to good use. Enjoy your honeymoon, and have a happy married life. On a different note, I came across your blog while researching on English writing by Bangladeshis. There is a lot of insightful, informative and well-written material on here. I hope you continue posting and tackling some knotty issues that most choose to leave alone. I look forward to following your writing with a keen interest. It was pretty confusing – at one point we were worried that no one would be willing to wed us! But never, ever dull, eh? All the best for your research – sounds interesting! Thanks! We’re living in London right now, but we’re looking to move back. Things like the Cross Cultural Club etc. will be a great help as the only problem with living in Dhaka is the comparative lack of everyday things to do outside of work. I’ll definitely ask her to get in touch with you closer to the date – thanks again. The research is to better acquaint myself with the writing coming out of Bangladesh. I’m an aspiring writer myself, and am working on a book at present that’s set in Bangladesh, so… I will definitely be following your blog, and may, from time to time, pick your brains on certain matters. P.S. Does your husband do translations from Bengali to English? We’re looking for someone to translate my grandfather’s works. If he has the time to look at some of it, it’s available on http://mahbubulalamchowdhury.info/. I just sent an email to “Cross Cultural Club ” BUT the mail came back to my account. I need some help regarding my marriage in Dhaka, Bangladesh. Please kindly contact with me asap. Thank you kindly. Nasir.